LUBBOCK, Texas - Luis Carlos Montalvan, a decorated Iraq war veteran who became a strong critic of the war and wrote a best-selling book about it, has died in El Paso. He was 43. Montalvan was found in a hotel room in downtown El Paso late Friday, El Paso police Sgt. Enrique Carrillo said Monday. The medical examiner’s office has not completed a preliminary autopsy report. His service dog, Tuesday, was the subject of Montalvan’s book, which became a New York Times best seller. Some Army colleagues said Montalvan, who retired from the Army as a captain in 2007, embellished his account of the incident that led to his Purple Heart. Tuesday is now being cared for by a loving family in the Northeast, according to a statement from Montalvan’s family. 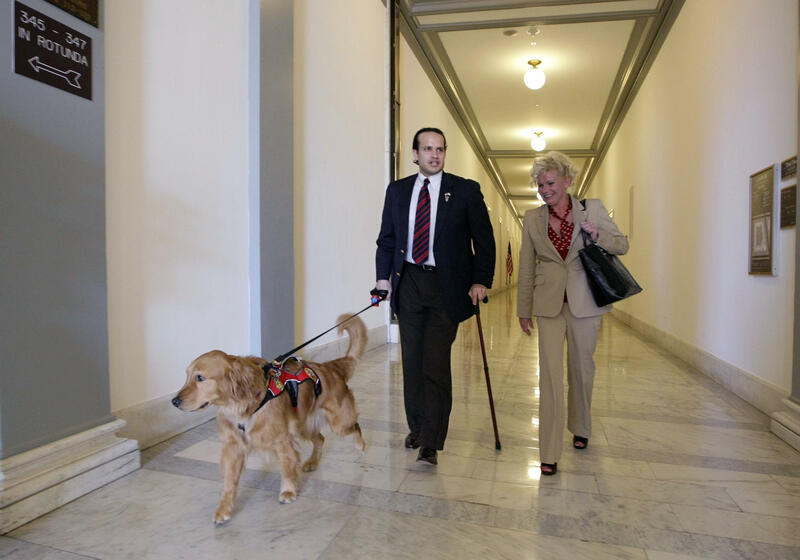 Montalvan’s book, “UNTIL TUESDAY: A Wounded Warrior and the Golden Retriever Who Saved Him,” was praised by Sen. Al Franken of Minnesota, made him a leading advocate for wounded veterans and even led to an interview on David Letterman’s show. But several men who served with him told The Associated Press in 2011 that he had exaggerated or fabricated key events from his service abroad. The AP also obtained documents that contradicted Montalvan’s statements about the extent and severity of his injuries. Hachette Book Group, which published his first book and will publish his second, “TUESDAY’S PROMISE: One Veteran, One Dog, and Their Bold Quest to Change Lives,” said in a statement that it was “deeply saddened” at Montalvan’s death. The organization that united Montalvan with Tuesday has set up a webpage in his honor. Donations can be made at www.ecad1.org/Luis .